Great for New Years, sports games, and any celebration. Hear that? It's your advertising working for you. 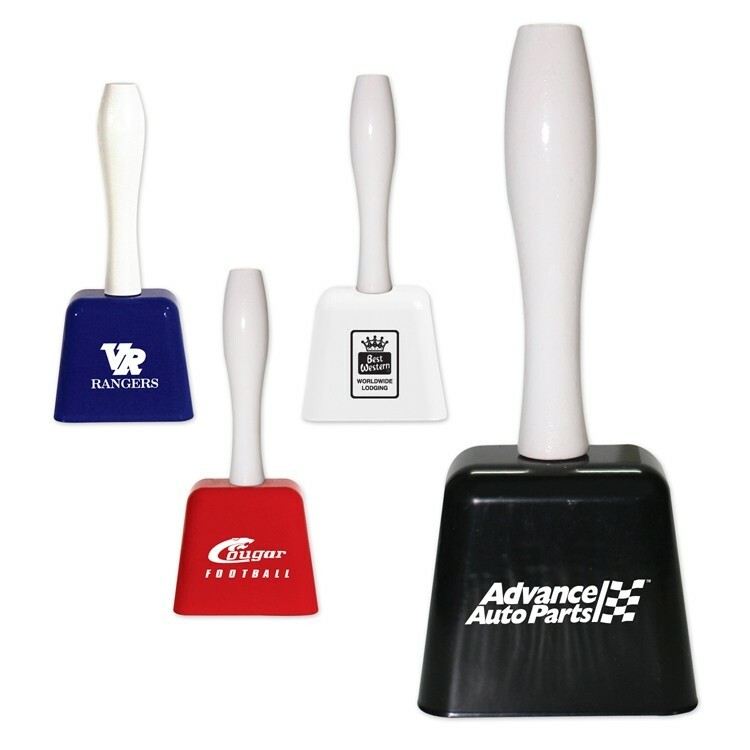 These metal cowbells come with a wooden handle for easy grip. Customized with your organization's name and logo, its the perfect way to promote concert events, team support and any business that you want to be seen and heard. Make sure your company's name always rings a bell.